Senderos Patagonia | Explore Aysén Patagonia with us! Patagonia, land of infinite adventure. Explore that possibility with us! 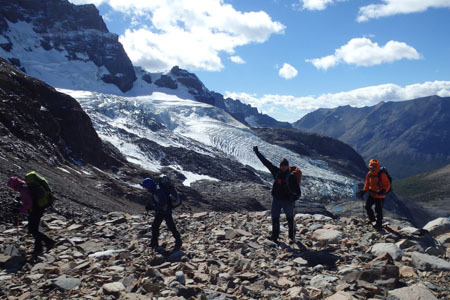 With Senderos Patagonia, adventure begins here! Truly one of the most magnificent places on Earth, Patagonia is a place where legends abound and explorations persist, glaciers meet the ocean and condors soar among mountains. A place where gauchos ride the sweeping pampas and pumas still roam the emerald forests. 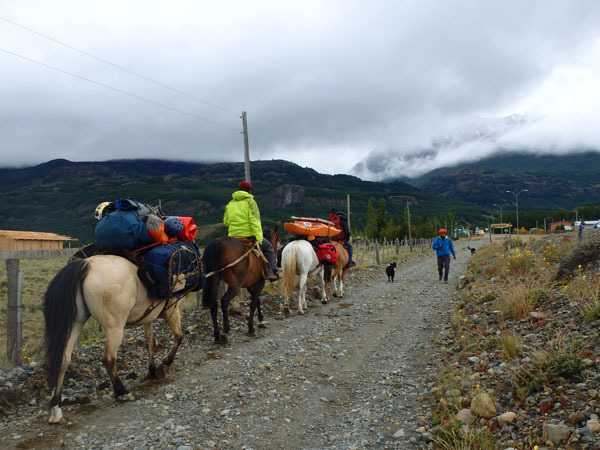 Senderos Patagonia is ready to help you explore this last great frontier, by foot or horse. A locally owned company based out of the Aysén Region in Patagonia, we specialize in small group sustainable travel. We customize each trip to the needs of our clients and employ only local and experienced guides, taking you off the main tourist track. Our trips are journeys through the heart of Patagonia that will leave you breathless and inspired – and wanting to come back! 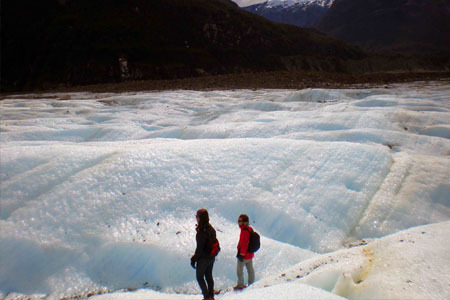 Explore Aysén Region with Senderos Patagonia! Short on time? No problem. Check out our day hikes and rides leaving from our base camp in Cerro Castillo as you make your way down the Southern Highway. These are great options for anyone looking to get a taste of the area or maybe just give horseback riding a try for the first time. From 3 hour rides to a short hike, we’ll make sure you get the most of your time here. These are custom planned trips, keeping in mind your physical ability and desire to explore. We play and live in these mountains, so if you are searching waterfalls, we’ll take you there. If you want to see expansive vistas, we’ll get you there. They say Cerro Castillo is the next Torres Del Paine National Park, but to us it’s so much more. We pride ourselves in the ability to create exciting and beautiful trips as well as the capacity to provide a cultural experience interacting with the local villages. Whether it is your first time on a horse or the hundredth, we have you covered offering rides for all levels that are tailored to fit your need. 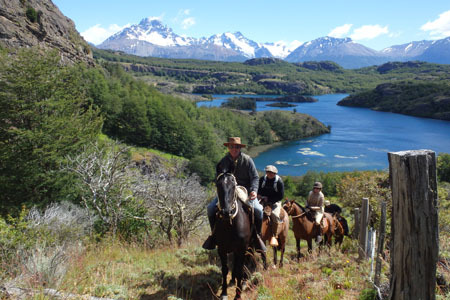 Enjoy hiking, horseback riding and kayaking within Aysen’s best landscapes! Whether you are looking to stay in upscale bed and breakfasts, lodges, or hoping to camp below the moon and the stars, we can accommodate your requests with our local network. Need a place to stay? We have that too! Senderos Patagonia’s cozy hostel is newly opened and ready for you with a dorm room option or a smaller private room option. We also have camping available nestled inside the trees and host special events with traditional Chilean asados! 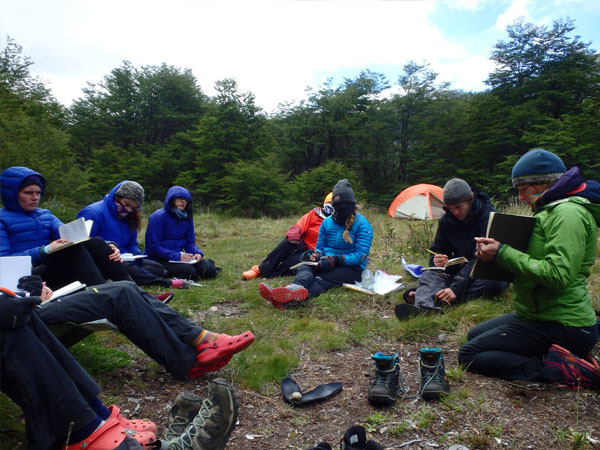 Senderos Patagonia is proud to work with institutions from abroad as well as local schools in our region to help build leadership skills, environmental awareness, cultural exchanges and assist in providing an outdoor classroom for inspiration. The opportunity to witness a real gaucho training wild, Criollo horses through natural horsemanship is only possible with our company. 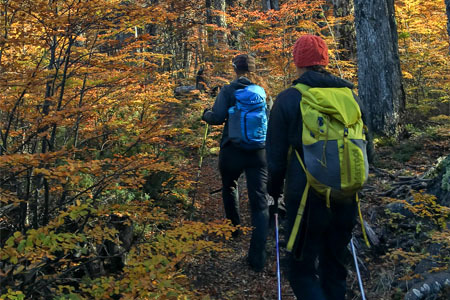 Whether you’re a mountaineer looking to porter your gear in to an unexplored valley to climb, or a group needing a local expert on the ground to help plan your expedition, we can supply the support you need.